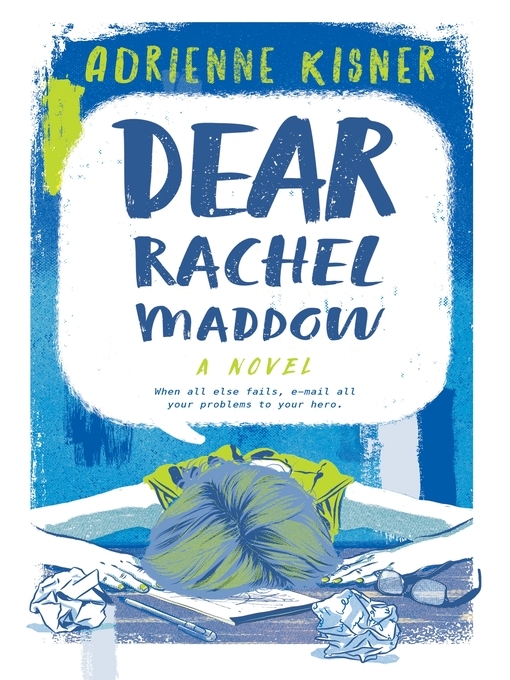 Brynn, who is in the "Applied" program at school, having fallen from honors to academic and then to the basement where the rooms have colors, not names following the drug-related death of her older brother, writes an email to Rachel Maddow for a school assignment. She even gets a response to the first message and is encouraged by her teacher to write back. Brynn does. A lot, but the messages remain in her drafts folder. The emails become something of a diary to Brynn, who doesn't have many friends since her fall to the basement and since breaking up with her girlfriend, Sarah, who remains with the popular crowd. This is a happens-to-be-gay novel, with a lesbian teen reaching out to a lesbian icon--or at least to the idea of her. It's also a spotlight on a special needs girl and her special needs friends being just people.